Internationally recognized experts in cancer biology and clinical research review the present status of the multimodality approach to the management of solid tumors and speculate on possible future strategies for chemoradiation therapy. The authors detail applications of combined modality therapy in lung, esophageal, breast, gastric, pancreatic, colon, and rectal cancers. 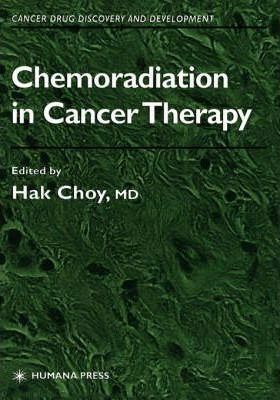 They also show how radiation interacts with such chemotherapeutic agents as the platinum complexes, taxanes, and gemcitabine in the treatment of malignant gliomas, and head and neck cancer. A review of how to integrate new specific molecular targeted agents into multimodality therapy in the future.